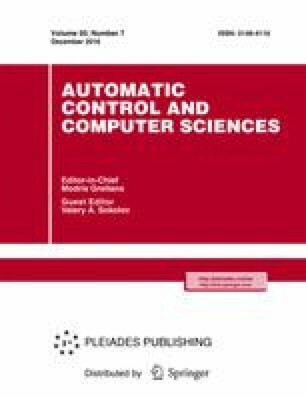 In this paper, we consider the problem of detection of changes and degree estimation of these changes in a dynamically changing binary image. The authors introduce the numerical characteristic degree of change areas in dynamically changing binary images based on the Jaccard similarity coefficient. To calculate this characteristic, the authors developed an original architecture of a twodimensional cellular automaton with the diffusion dynamics. We establish that cellular automaton configurations converge to a stationary configuration. The stationary configuration of a cellular automaton defines the desired characteristics for each area in dynamically changing binary images. The result can be presented as a grayscale image, which greatly facilitates the visual analysis of the dynamics of changes in binary images. The suggested approach can be used to detect and numerically estimate changes in the case when a number of brightness gradation comprises more than two values. Original Russian Text © A.A. Korotkin, A.A. Maksimov, 2014, published in Modelirovanie i Analiz Informatsionnykh Sistem, 2014, Vol. 21, No. 4, pp. 64–74.